“Nothing more than a free spot for making out”, this is what Historian Ambeth Ocampo joking as he describes Luneta Park today. This place used to be valued for its historical significance but people seemed to have lost appreciation for “useless” things like this. In Jose Rizal and Switzerland talk, Ambeth shared though Rizal stayed for 3 weeks, nothing much has been written about it in his diaries. However, one link that Switzerland has to the Philippines is that the Rizal Monument was made by Richard Kipling a Swiss who won the second prize for the design competition of this monument. Manila was very boring in the 18th century that after the early morning mass every Sunday, going to Luneta Park and watching a human execution is considered an amusement! 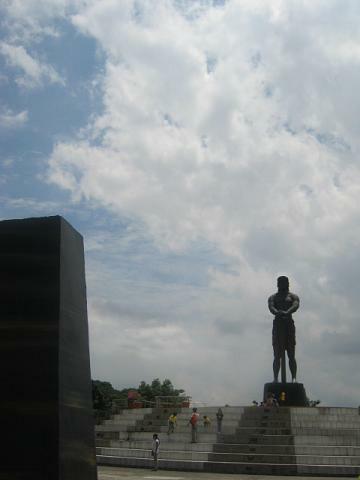 Rizal was not the only hero executed in Luneta Park. The three priest martyrs Gomburza whom Rizal said “if not because of what happened to them I would have been a Jesuit” was also executed there through a garrote in 1972. That time Rizal was 11, Bonifacio 9, Mabini 8, Luna 6 and Aguinaldo was 3 years old. Jacinto and Del Pilar were not even born! 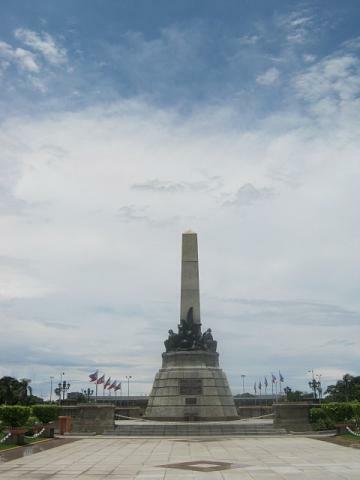 One would notice that at the very back end of Luneta Park is the Lapu-Lapu Monument that is even taller and bigger than Rizal Monument! What is the point of calling it as Rizal Park or when it is shared by other personality? Ambeth said he has nothing against with this brave warrior from Cebu but it is just geographically right to relocate this anywhere not just here in Luneta Park. Gomburza and Rizal not only shared same place where they were executed but also the place where they were buried in Paco. Rizal is said to have prepared his death very much that he even told the soldiers to hit him with the riffle bullets in the backbone so he can be quickly killed that shortening the agony of being killed! He instructed to be buried in the ground, place a stone and cross in his tomb, fences ok with him and NO anniversaries please. All of these are were followed except the last one that even the country’s presidents do it.